Hi Guys, are you looking for the RRB Bhopal Assistant Loco Pilot Vacancy 2018? So, we have great news for those aspirants who are seeking for the latest government job in Railway Recruitment Board, Bhopal. In this article, we are going to share all the detailed information regarding the RRB Bhopal Technician Grade III Recruitment 2018 in the following sections of this article. All the interested and eligible aspirants who want to do a job and want to make their career bright then they may check this article with proper attention and then you may apply for this recruitment from the official website of Railway Recruitment Board, Bhopal which is www.rrbbpl.nic.in. Candidates must check our careerjobs360 page on regular basis. The Railway Recruitment Board, Bhopal has recently circulated the employment news for RRB Bhopal Vacancy 2018 for all the eligible and skilled candidates on 1679 posts of Assistant Loco Pilot (ALP) and Technician Grade III in the Railway Recruitment Board, Bhopal Department. The RRB Bhopal department is now looking for the eligible & interested contenders for the vacant positions on the board. The interested and eligible candidates may apply for this RRB Bhopal Technician Grade III Recruitment 2018 from the official website of the department. Candidates may fill and submit their application form on or before the deadline date. The board has released the deadline date that is 31st March 2018. For other information regarding the vacancy such as age criteria, academic qualification, selection procedure, application fee, pay scale and how to apply etc are mentioned below in the article. The Railway Recruitment Board, Bhopal was formed on 23rd September in the year 1982. In January 1985, Railway Service Commissions were renamed as Railway Recruitment Boards in 1998, all RRBs came under the control of the Railway Recruitment Control Board, which was established in the Ministry of Railways to coordinate & streamline the working of Railway Recruitment Boards. In July 2000, the Railway Recruitment Board office was shifted from a rented accommodation at Machna Colony, Shivaji Nagar to East Railway Colony, Bhopal. RRB, Bhopal directly recruits Technical & non-technical categories in Gr.’C’ vacancies as well as Para medical vacancies on the basis of Indents received from Railways. Here, we mentioned all the eligibility criteria details from the below description of the posts. Then if you are eligible then submit the application forms on or before the due date which is 05th March 2018 by the department. Academic Qualification: Interested candidates must have completed the 10th/ITI or equivalent examination from any authorized Institution/ Board. For more details, you must visit the official notification of the recruitment. Candidate’s age limit must be below than 23 years. Age Relaxation: Upper age relaxation of 3 years is given to the general category and 5 years for SC/ ST category aspirants. Selection Procedure: Selection of the participants will be completed on the basis of their performance in the following rounds which is going to be conducted by Railway Recruitment Board, Bhopal. Participants who belong to General/ OBC Category need to pay an Application Form Charges of Rs.100/-. SC/ ST belonging Category Participants are exempted from Application Form Fee. How to Apply for RRB Bhopal Assistant Loco Pilot Recruitment 2018? 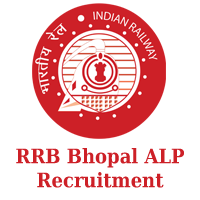 Interested and eligible Aspirants who wish to apply for the RRB Bhopal ALP Jobs 2018 then they must have a glance at the eligibility criteria from the official notification of the RRB Bhopal ALP Technician Grade III Recruitment 2018. Eligible and skilled candidates may fill their application form and submit it on or before the due date. Otherwise, your applications will not be accepted by the Railway Recruitment Board Bhopal department. Here, we have provided some steps for the ease of the participants for filling the application form. Initially, willing aspirants must have to visit the official website of Railway Recruitment Board Bhopal that is www.rrbbpl.nic.in. Then, you must have to read the official notification for eligibility criteria very carefully before applying for the vacancy. Now, fill the application with all the right details without making any mistake.